Travis is on trial for the massacre of hundreds of innocent people several years previously. His defence counsel is working for Servalan who has arranged the trial in order to get rid of Travis who has become a liability to her. Servalan is looking to usurp the President of the Federation and Travis has knowledge that, if made public, would harm her changes of taking over. 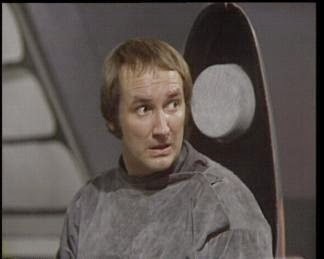 Meanwhile, wracked with guilt over the death of Gan, Blake has teleported down to a supposedly uninhabited planet in order to think about what has happened and what he will do next. Avon is in favour of leaving Blake and even Vila seems tempted though Cally and Jenna in particular are less keen. 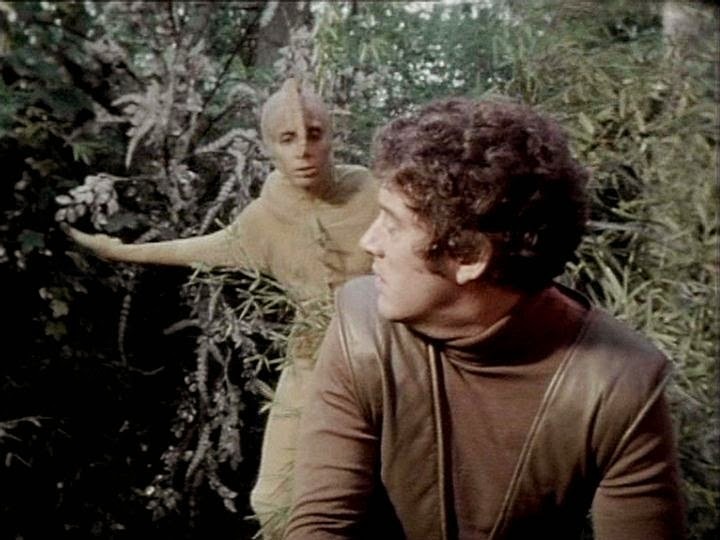 On the planet, Blake encounters an unusual creature named Zil who tries to protect Blake from being absorbed by 'The Host' and 'losing his Oneness'. Blake is initially unsure what this means but he eventually discovers that the planet is a living creature and Zil and her kind and parasites on the creature's body. When the creature fights the parasite's infestation, they are absorbed back into the planet, losing their lives and identity - their 'oneness' - in the process. Blake teleports back to the Liberator before he himself is absorbed into the planet. He decides to continue the fight against the Federation, not wanting to lose his individuality and be absorbed like Zil was. In order to build up his crew's reputation once again Blake decides to attack Servalan's space station headquarters where it so happens that Travis' trial is taking place. Travis' trial has gone badly. Despite an impassioned speech, claiming that he is product of the Federation and therefore his actions are all down to them, Travis is found guilty and sentenced to death. Before sentence can be carried out, the Liberator attacks and Travis is able to escape from the courtroom. He makes his way to Servalan's office where she offers him a deal. Officially Travis will be branded an outlaw and will be hunted down by Servalan. Unofficially Travis will continue to work for Servalan and will continue to hunt down Blake on her behalf. Blake: Is, not surprisingly, feeling guilty over Gan's death and has to take some time out to think about the future. He admits to the others that he had been starting to believe that they were invulnerable and that he'd got carried away as a result. Ultimately, thanks to Zil, Blake chooses to carry on fighting and his crew choose to stick with him. In order to rebuild their reputation, Blake suggests the attack on the Servalan's headquarters. 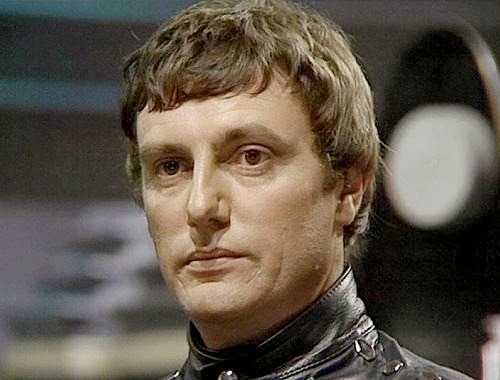 Avon: He is particularly unpleasant to Blake in this episode, getting in some cheap jibes about Gan's death. He refers to the rest of the crew as Blake's "three remaining followers" and then says of himself that he doesn't get them killed. He's also more than happy to abandon Blake on the planet's surface although ultimately he does help to retrieve Blake from the surface and chooses to stay with the crew. Jenna: Not surprisingly, Jenna sticks up for the Blake when the others are debating whether to leave him. She's always been his most loyal crew mate At one point she storms off the flight deck of the Liberator as Avon and Vila talk about leaving Blake. Vila: He and Avon share a 'moment' in this episode. It's actually quite interesting, and even a little unsettling, to see them being so friendly when they've spent most of the past series and a half sniping at each other. Here they are united by a common interest (being rich) and begin to seriously consider leaving Blake and going off to live a life of luxury - although presumably not together. 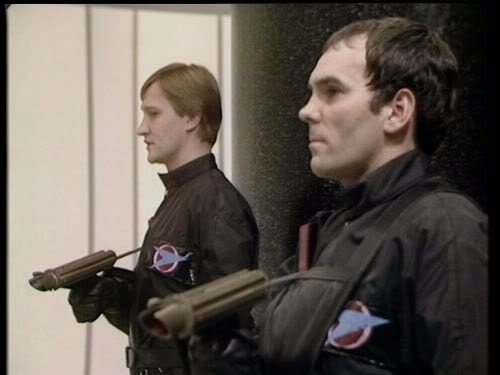 Servalan: Has ambitions of becoming President of the Federation and sees Travis as an obstacle to that which is why she arranges for him to be tried for mass murder. She is briefly concerned when she thinks that Travis may have swayed the court's decision. When Travis escapes from the court room and confronts, she offers him a deal that will get him out of her way and enable her to also dispose of Blake. Travis: He knows that the trial has been arranged by Servalan and knows that there is no way he can avoid being found guilty by the court. He therefore determines to go out in a blaze of glory and makes a speech to the court, calling them hypocrites for condoning his actions which he was trained and conditioned to make. When he makes his escape he spares the life of one lone trooper, a man named Parr who Travis once commanded. His reason for sparing Parr's life is that he felt that Parr wasn't a hypocrite. At the end of the episode Travis, like Blake, is a wanted man hunted by the Federation. 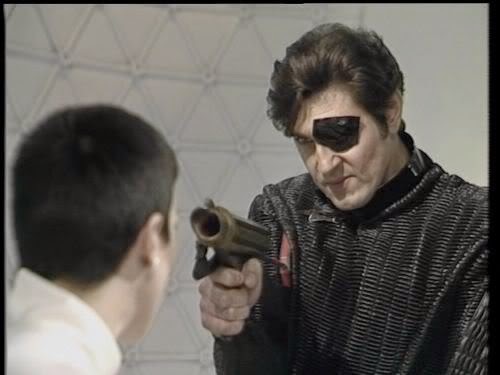 Secretly though he still works for Servalan and his mission is unchanged: he will hunt down Blake. Another strong episode which deals with the fallout from Gan's death and Blake's failed attack on Central Control, while also setting up things for the rest of the season. This is writer/script editor Chris Boucher's third script this season and, like his previous episode, 'Weapon', it pays particular attention to the bad guys - in particular Travis who is given some much needed depth to his character. It's also presents us with something of a first for the series: two unconnected stories that only come together at the end of the episode. On the one hand we have Blake taking some time out to consider whether he wants to go on fighting while, on the other, we have Travis who is left with little choice but to fight the very organisation that he had dedicated his life too. Travis is basically playing at being Blake for an episode - his corrupt trial even harks back to Blake's trial in the first episode - so it's not surprising that by the end of the episode Travis is 'officially' branded an outlaw just like Blake. That's where the similarities end though. Travis is still working for Servalan. It's an interesting development for Travis and makes him a more interesting character as he's now been 'let off the leash' as it were and is free to do whatever he wants in his hunt for Blake. Blake's story is the less interesting of the two stories although that's mostly down to character of Zil who I've never really liked. Plus it's sort of obvious that Blake isn't going to just run out on the rest of his crew. I mean, when the programme is called Blake's Seven, there's no way the title character is just going to up and leave is there...? All that aside, it is nice to see Blake's more vulnerable side and see him caring about his crew again after three or four episodes of him being an obnoxious git. Hopefully it's something that will continue as I've found it hard to like Blake lately. As far as the rest of the regular cast are concerned they play second fiddle to the Blake and Travis Show although Avon, and to a lesser extent Vila, get some good material. 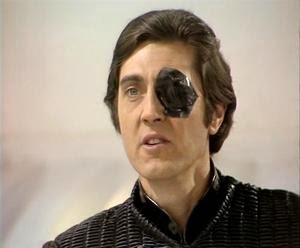 In particular Avon is in fine form as he cruelly taunts Blake over Gan's death and then plots with Vila to abandon Blake and go off to get rich. 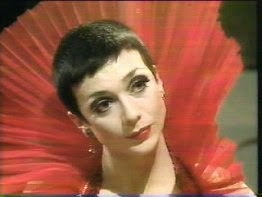 Of the women, only Servalan comes out of this episode looking strong. Jenna and particularly Cally get little of interest to do. I read one review which said that Cally had become the new Gan which is a little harsh but probably fair at this point in the series. 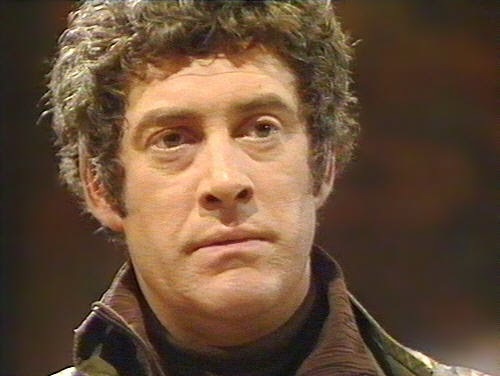 Next time: Legendary Doctor Who writer Robert Holmes presents us with his first Blake's Seven episode: 'Killer'.